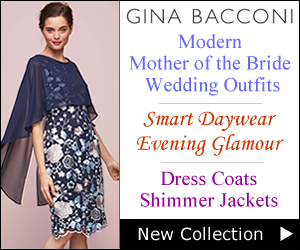 Create the perfect wedding outfit with a sophisticated dress and coat combination from Gina Bacconi. 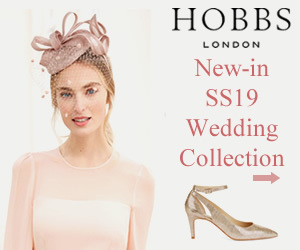 New 2012 collections may be thin on the ground at the moment but we found this beautiful peach and ivory creation in the designer section at Gray & Osbourn. 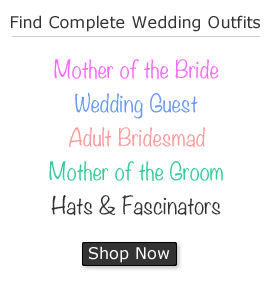 Here you can shop new arrivals for the latest look for your spring or summer wedding and delight in the season’s pastel hues and delicate fabrics. 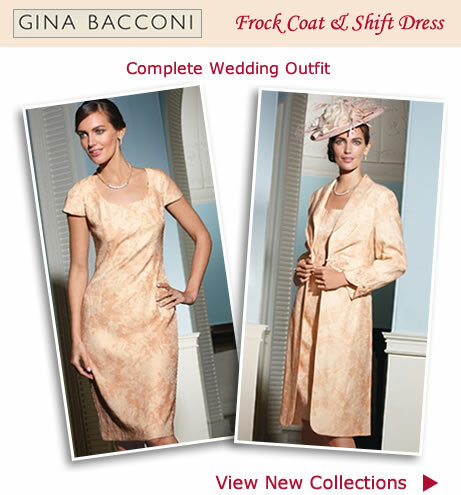 One to fall in love, GIna Bacconi’s feminine chic two piece in pretty peach and ivory. 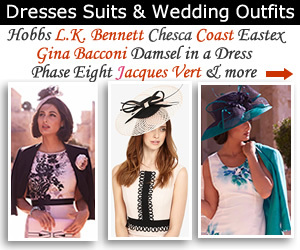 Wearing peach will add a subtlety to your look that is both elegant and charming. The shift style dress and matching coat is crafted in a soft textured printed fabric with a subtle luminous sheen. 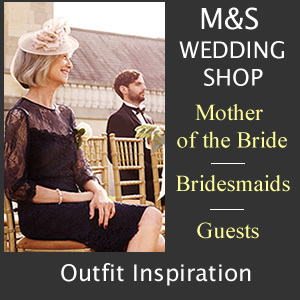 Details of the dress include cap sleeves, fitted bodice and straight skirt. The frock coat has radiating front pleats, cornelli trimmed knot and loop fastening and cuff detail on the sleeves. 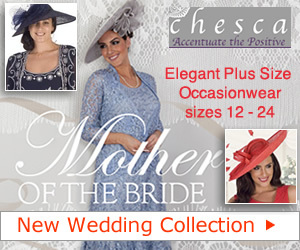 Be guaranteed in finding your size and matching accessories by shopping early for a spring wedding. 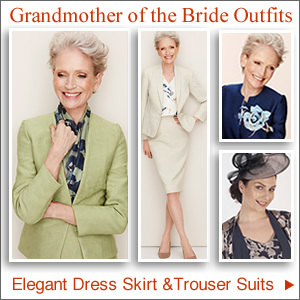 Whether it’s an outfit for a mature bride, guest, Mother of the Bride or Groom you can be sure of finding a complete ensemble to suit your style. 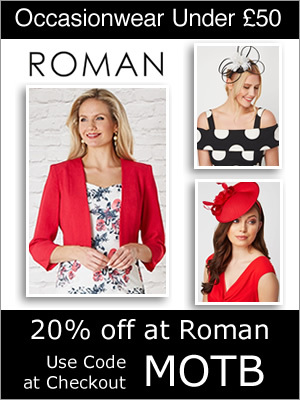 Misty shades with lovely design touches gives an ultra flattering look for the most formal of occasions. 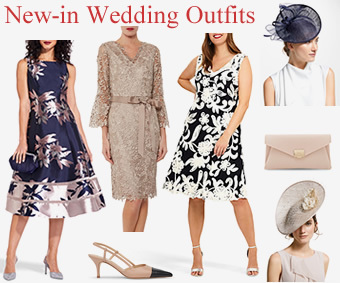 In addition to Gina Bacconi you’ll also find Betty Barclay, Gerry Weber, Damsel in a Dress, Fenn Wright Manson, Frank Usher and Chesca occasionwear. 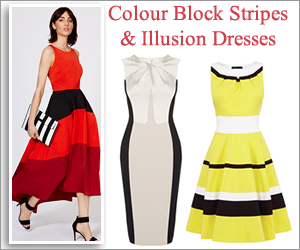 Complete your look with accessories in the same colour as the Frock Coat and Dress. Team with the Gina Bacconi handmade net and fascinator; this is worn on a hairband. For a touch of sparkle the peach tinted faux glass pearl and diamante necklace by Clair Garnett makes a striking statement piece. Matching clip on earrings are also available.